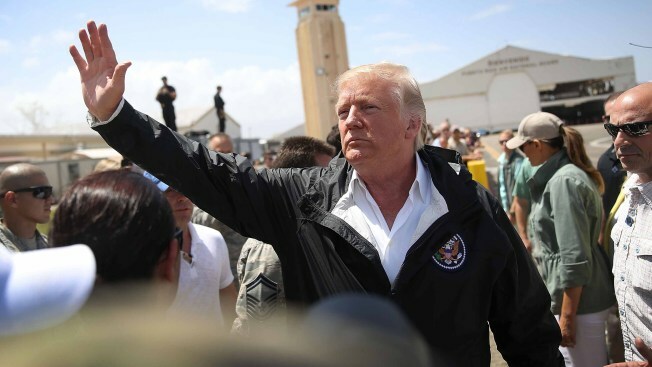 In "Unhinged," Manigault Newman recalls the president tossing rolls of paper towels to Hurricane Maria victims as a moment of "cavalier behavior in the face of human tragedy"
President Donald Trump waves as he arrives at the Muniz Air National Guard Base for a visit after Hurricane Maria hit the island on October 3, 2017 in Carolina, Puerto Rico. Former White House aide Omarosa Manigault Newman says in her new book that President Donald Trump and his chief of staff, John Kelly, "referred to Puerto Ricans with derogatory terms many times," NBC News reported. Manigault Newman did not detail what those terms were. 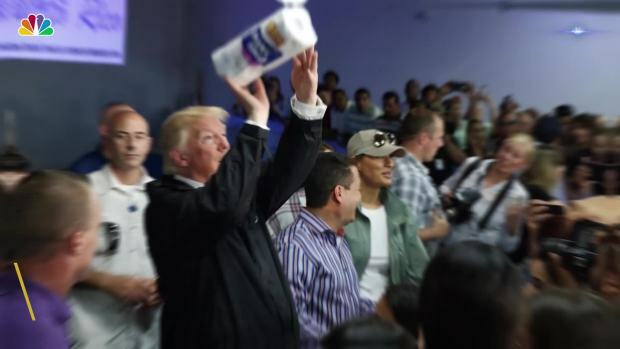 In "Unhinged," Manigault Newman also says that the president tossing rolls of paper towels to Hurricane Maria victims during his visit to the devastated island was a moment of "cavalier behavior in the face of human tragedy." She asserts "many of the problems and delays with getting aid to Puerto Rico were partly political." Kelly fought efforts to secure aid for Puerto Rico, believing its government was trying to exploit the tragedy to get money from Washington, she alleges. Manigualt Newman instead cast herself and former homeland security adviser Tom Bossert as fighters for resources for Puerto Rico. The White House had no immediate comment on Manigault Newman's allegations.